Along with our lines of air filters and carbon filters, Farrar Filter also offers a variety of services. We have fifteen service vehicles to assist you with air filter changes. We can also offer to recycle your carbon activated filters and on-site carbon changeout services for larger activated carbon tanks. Air conditioning systems operating over 1400 hours per cooling season. Heating systems operating over 1500 hours per heating season. Dirty filters can cause equipment to be over worked and operate less efficiently. Keeping equipment in proper working order is the easiest most cost effective method to control energy and maintenance costs. 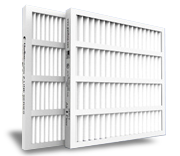 Filters replaced monthly, bi-monthly or as needed. Belts inspected regularly and replaced during scheduled maintenance. 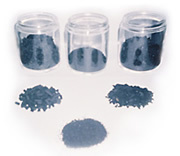 We offer activated carbon recycling services as part of an overall service arrangement or as a stand-alone service. The specific service offered will depend on such factors as the characteristics of the GAC treatment system, the volume of spent carbon to be handled, and the capabilities of the selected vendor. Spent carbon waste can be handled in a variety of way. Virtually all spent carbon waste to be regenerated is processed using a thermal destruction/scrubbing system, which destroys the organic contaminants as well as regenerates the carbon for reuse. Farrar Filter Company performs on-site carbon changeout services for larger activated carbon tanks located at your facility. We travel the northeastern seaboard states to change the spent carbon and replace with fresh carbon into your tanks through the use of our high-pressure vacuums.